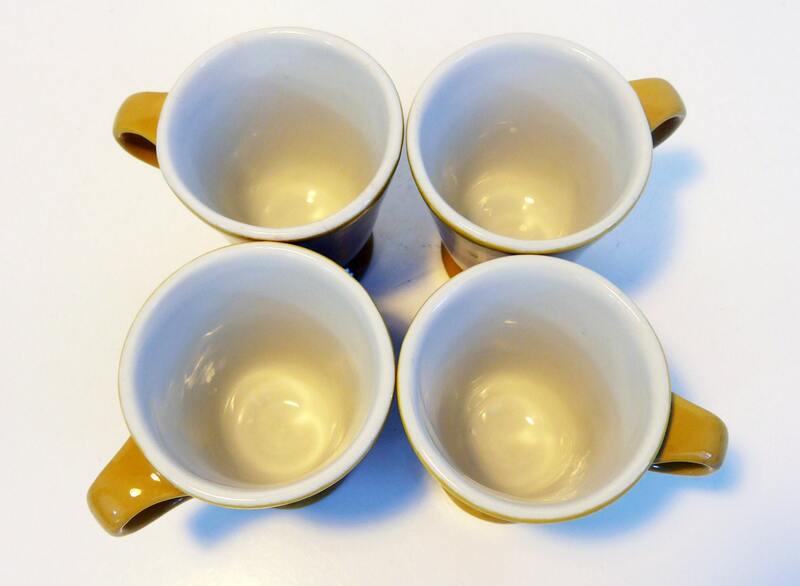 4 Vintage Sterling Vitrified Pedestal Mugs - Restaurantware Set of 4 Dark Yellow / Mustard Color Footed Mugs Cups - Very Retro & Kitsch! 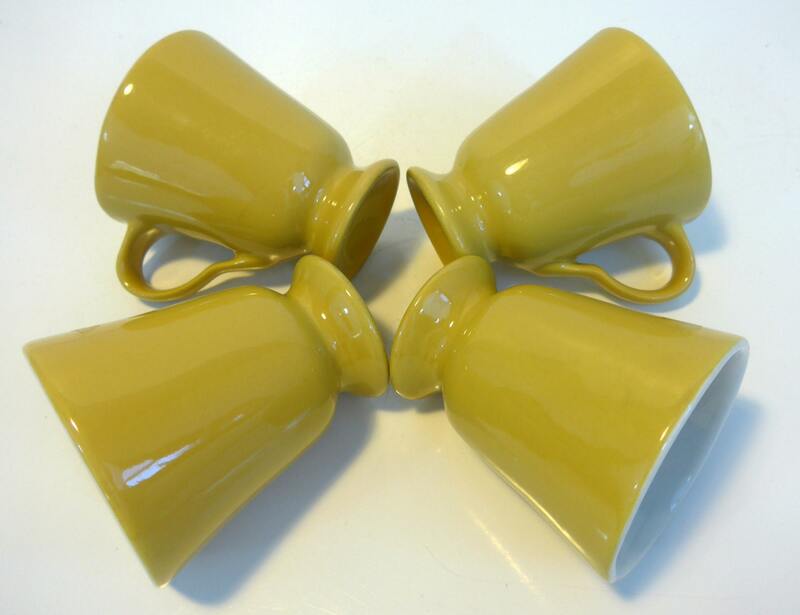 This is a set of 4 very retro (like they stepped right out of the '70s) coffee cups or mugs by Sterling China. 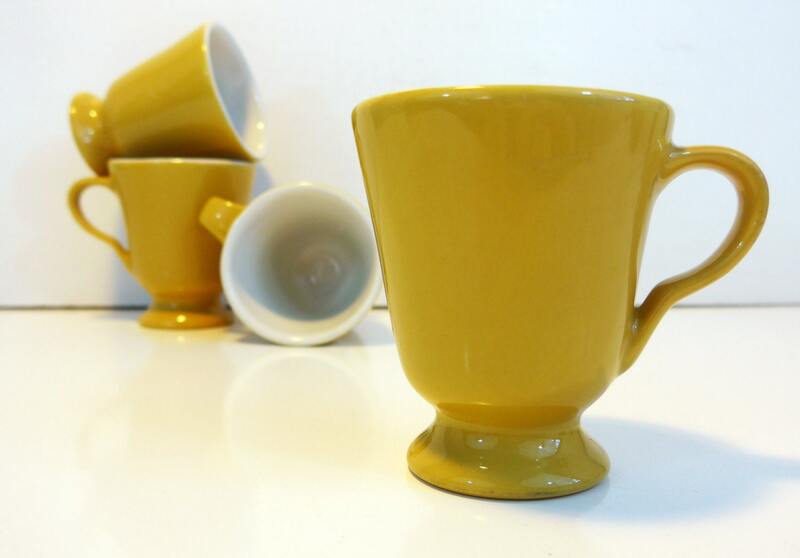 These cups have a nice heft to them and a great retro appearance - a nice example of vintage restaurant ware. They are a mustard yellow or dark yellow color on the exterior and they are ivory colored inside. Great vintage condition with no chips or cracks - ready for you to use! 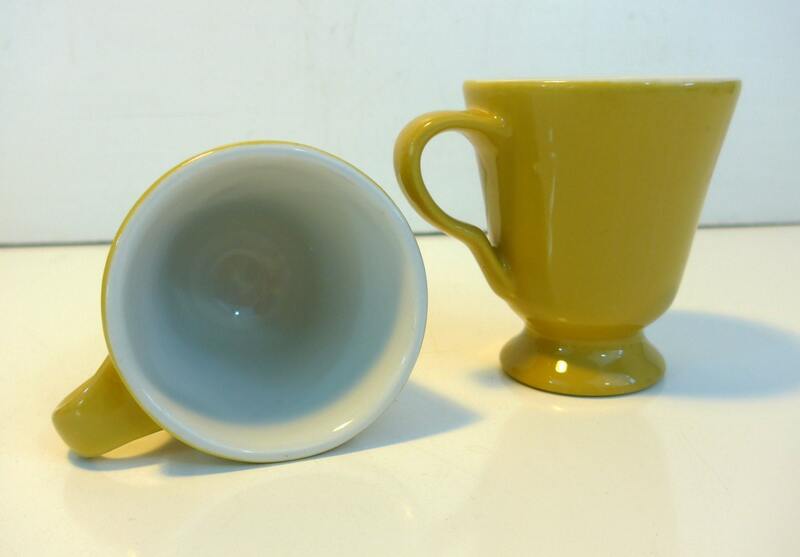 There are some wear or use marks on the bottoms as would be expected vintage mugs of this age. Measure 3 3/4'' tall, approx. 3'' wide (without handle) at the top, base has a 2" diameter. 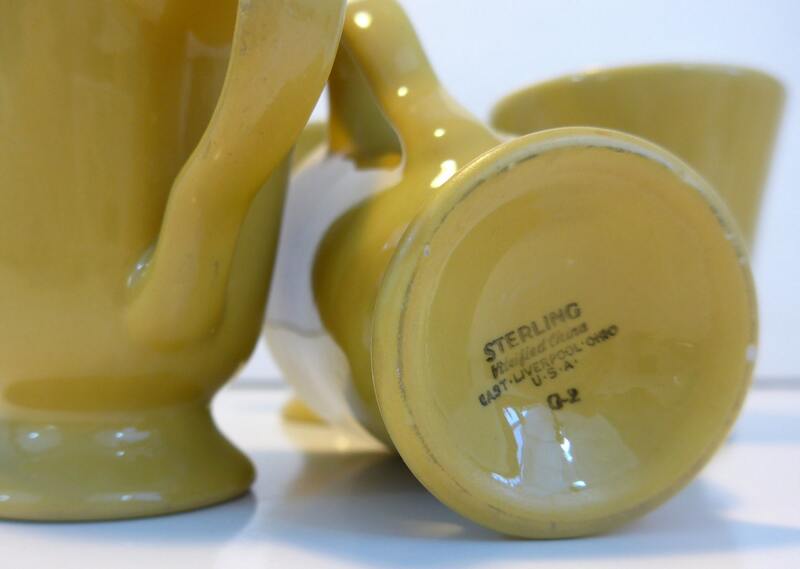 Sterling China of East Liverpool, Ohio was founded in 1917 and made millions of pieces of dinnerware for use by hotels, restaurants, airlines, railroads, steamship lines, and hospitals.